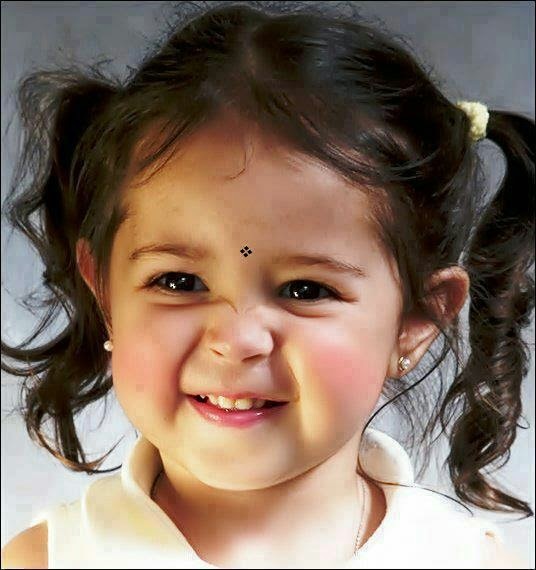 Sriz Beauty Blog: A Healthy Child Makes a Healthy Home!!! As the famous quote says ''Today's Kids/Children are Tomorrow's Future'',our kids are our tomorrow's future.They are our carriers to future generations.Kids depict us.A home with kids is always energetic and full of life where as a home with out kids is always dull and life less.An active kid always spreads the positive energy through out the family and makes every one happy.Kids makes life color full. I used to live alone in the house from morning to night till my husband comes from office.Though I am loaded with lot of work all the time,still I used to get bored because there is no one to talk,until the arrival of my new neighbour friend Rekha.Her family is a joint family and she has 2 years old kid Abhi.She will be busy all the time with her house hold work and she leaves Abhi with me in the morning as well as in the evening. After his arrival,my life style has been changed.I love to spend as much time as possible with him.He made my life so wonderful and lively.All my boredom now has turned into a memorable time with his lovely smile,naughty things,cute conversations,actions.I love to play with him for hours together.By seeing his happy face all the time,I will forgot all my tensions,worries and stress.He is an instant energy booster for me. When Rekha goes to her home town along with Abhi,I miss him so much and I cannot concentrate on my work properly.Sometimes when he is not feeling well,everything will be so dull and sad.As the Climate in Bangalore is always cool,flu always attacks kids as well as adults.It is a common problem faced by many here.This is due to the lack of proper immunity.We need to take proper care to prevent infection especially in kids by improving their Immunity power.If Kids are Healthy and active,automatically everything will be Happy! 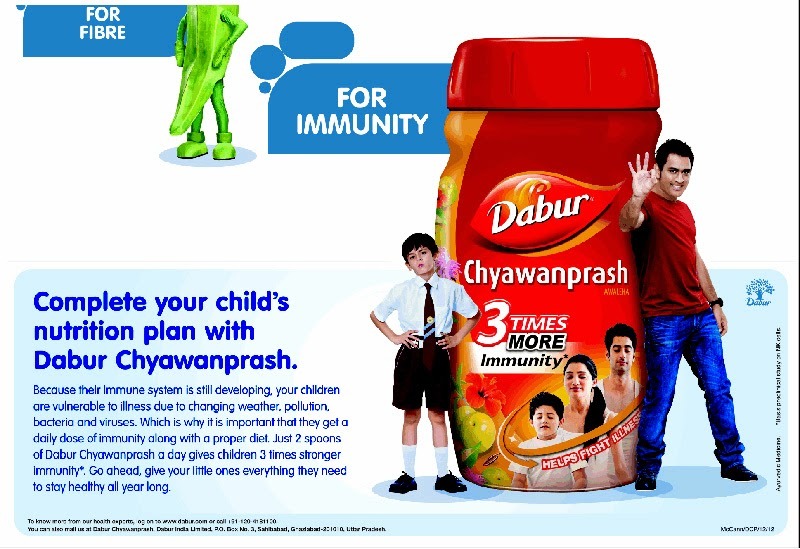 Immunity plays a major role.Immunity is nothing but the capability of an individual to resist against infections caused by Bacteria, Viruses and other germs.Kids are more prone to diseases due to the lack of proper immunity.The Best way to improve the immunity in kids is to feed them with healthy vegetables and fruits along with Dabur Chyawanprash. Dabur Chyawanprash is a time-tested, age-old formulation,which is a combination of a number of herbs like Amla, known to be one of the best antioxidants, Giloy , known to have immuno-modulatory properties along with 40 other natural ingredients. Dabur Chyawanprash has anti-oxidant properties and helps to strengthen your body's internal defence mechanism - the immune system - thereby protecting you from day to day infections such as cough, cold etc. Dabur Chyawanprash’s magnificent brew of Ayurvedic herbs strengthens the body’s natural defense mechanism by stimulating the Natural Killer Cells (NK Cells). NK cells assist in fighting with virus and bacteria in your body, thus giving us increased immunity from various infections .You can refer to the picture below. Healthy green vegetables and fruits play an very important role in boosting the immune system.But care should be taken in washing them properly as the vegetables and fruits are loaded with harmful pesticides which are the major cause of many harmful and dreadful diseases.Along with the vegetables,fruits and milk,give your kids 2 spoons of Dabur Chywanprash,which helps in giving 3 times stronger immunity against changing weather,pollution and germs. This post is written as a part of Indiblogger Happy Hours Campaign in association with Dabur Chywanprash.